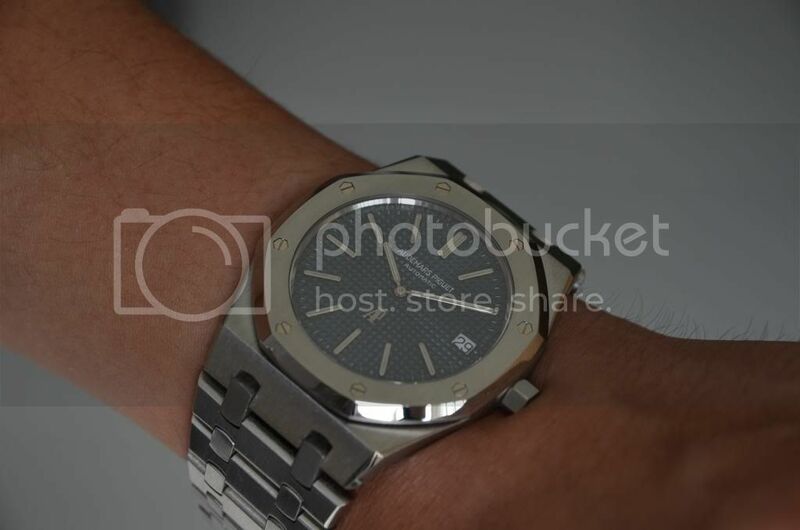 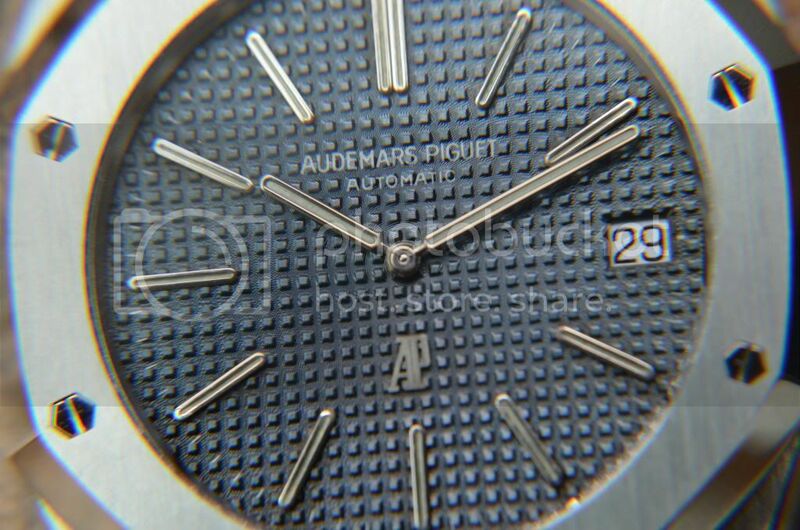 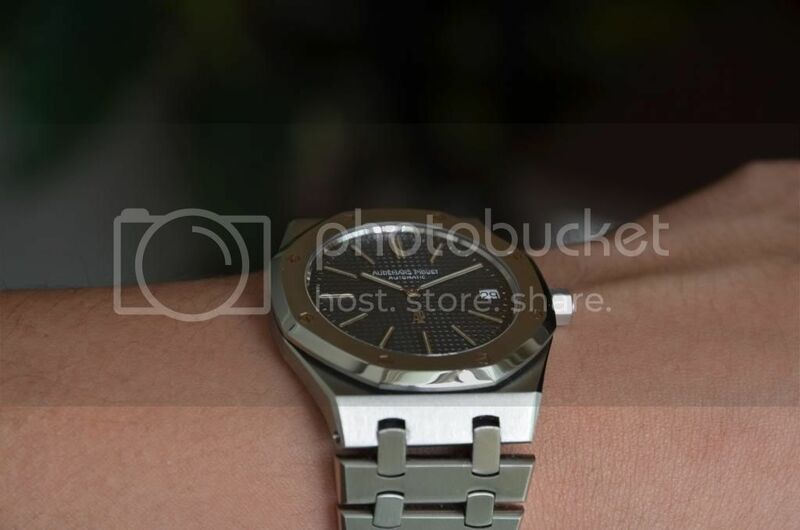 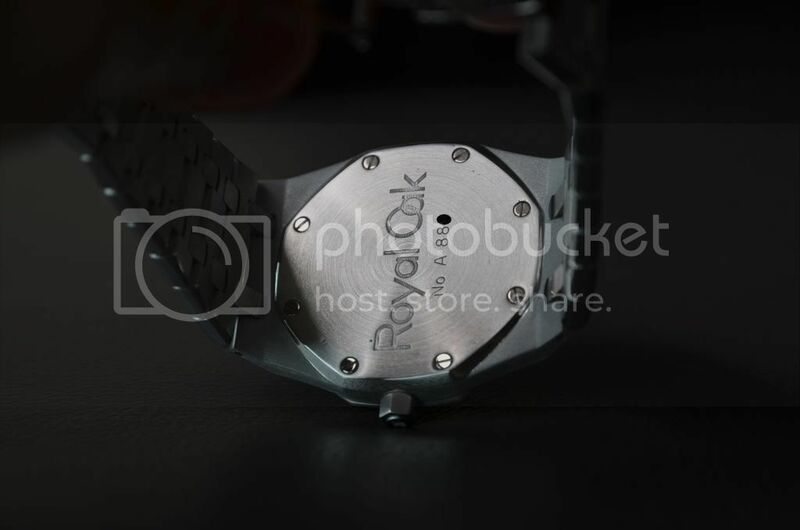 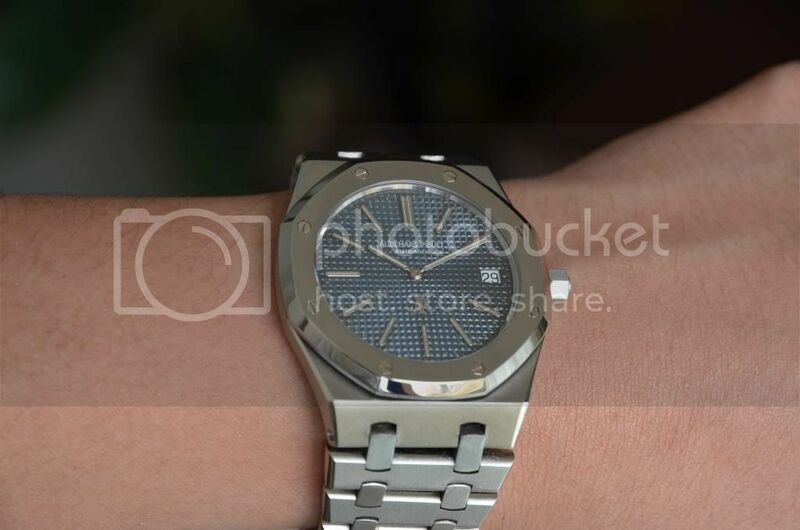 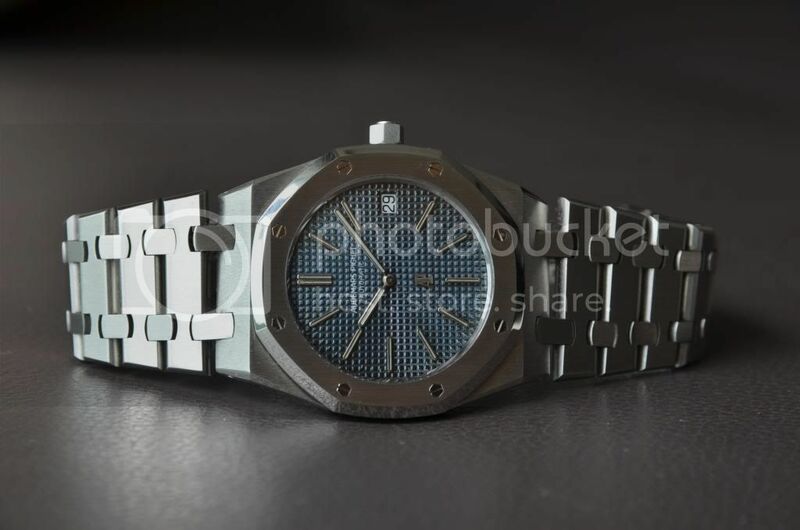 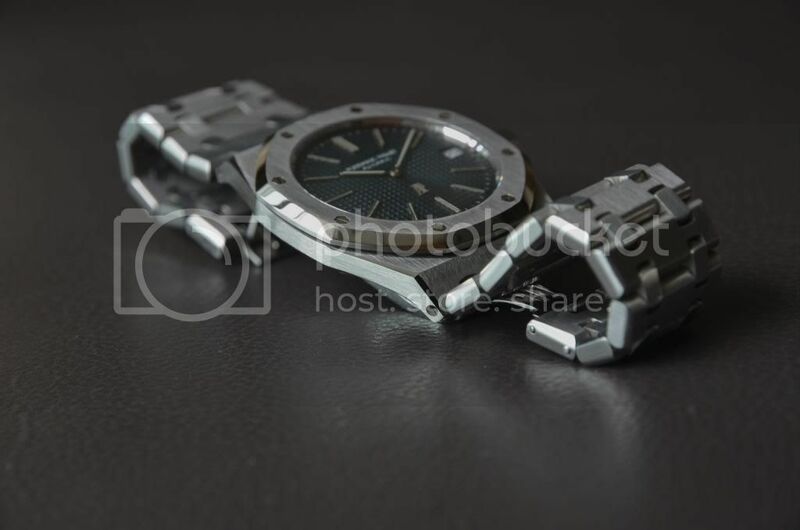 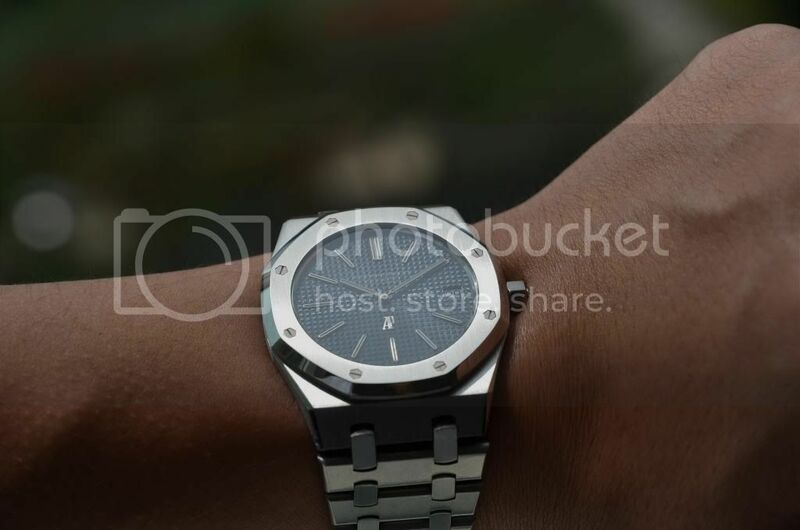 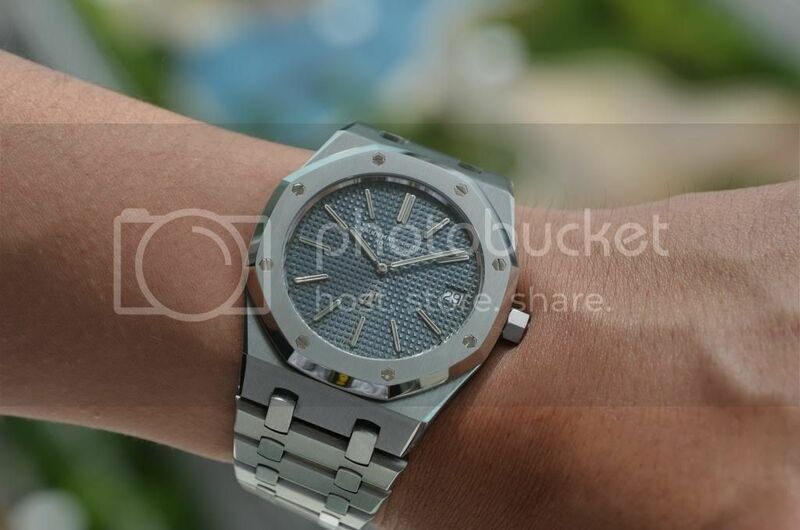 TimeZone : Audemars Piguet » Royal Oak 5402 A serial is finally back from a spa!!! 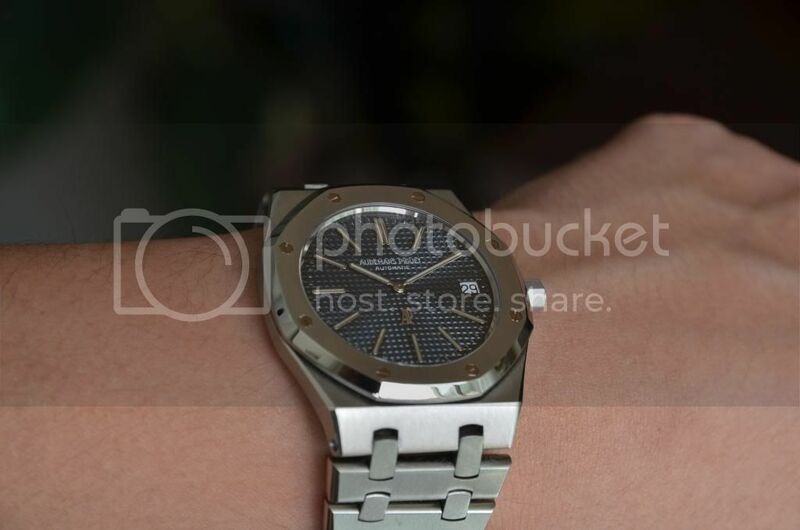 Almost a 6 months treatment, but I am glad she is finally back. 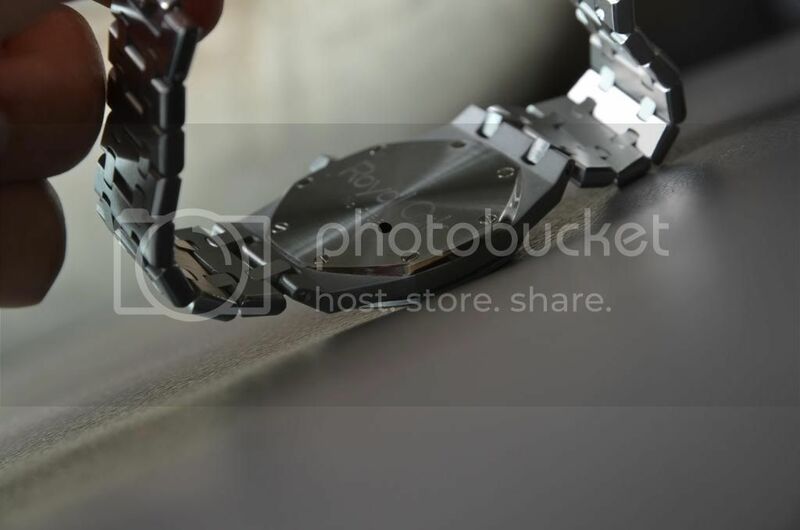 Noticed the tapered mirror finished on the caseback? 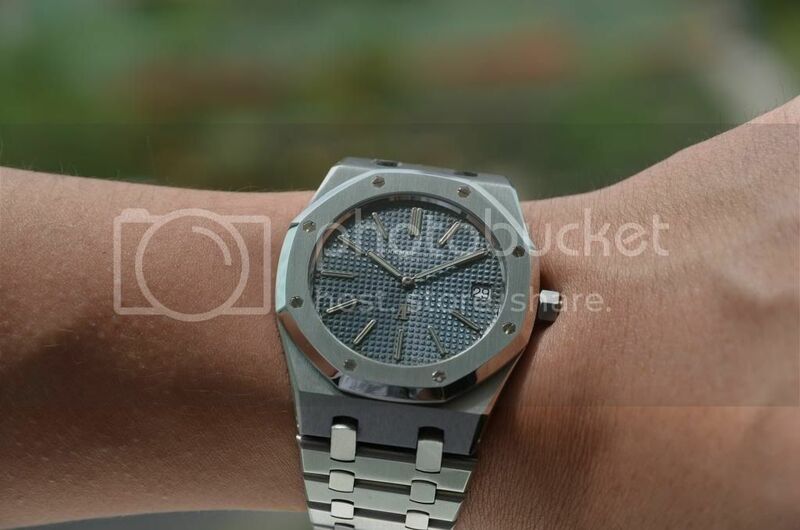 This is a beautiful detail that the modern Royal Oak is missing! 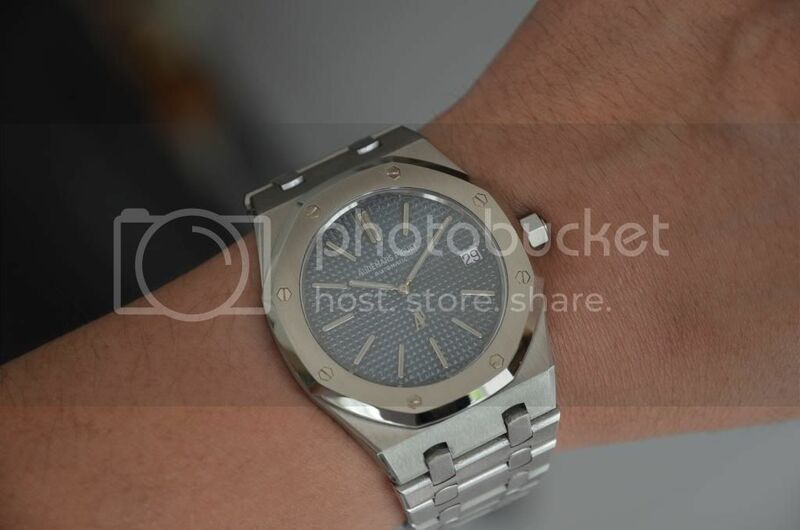 Certainly a keeper this time. 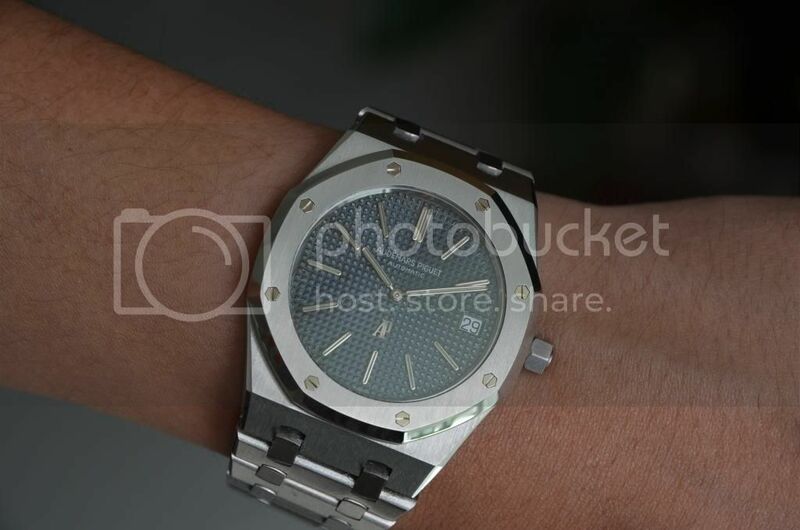 And this is a watch that is certainly going to be babied. 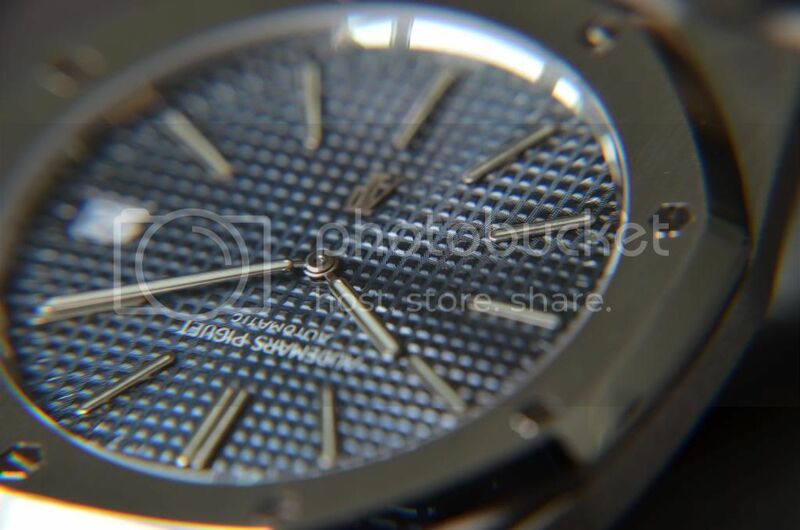 Totally love the dancing stars shimmers on the dial. 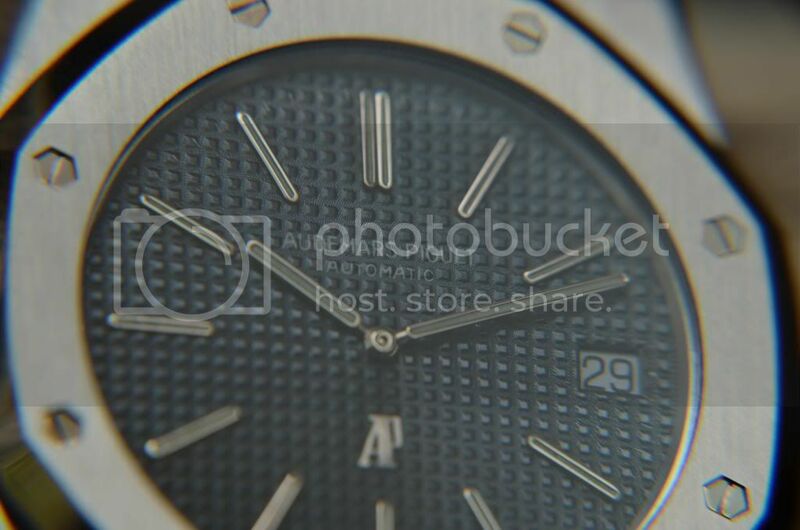 Iridescent dial that shows slate, navy blue to light blue. 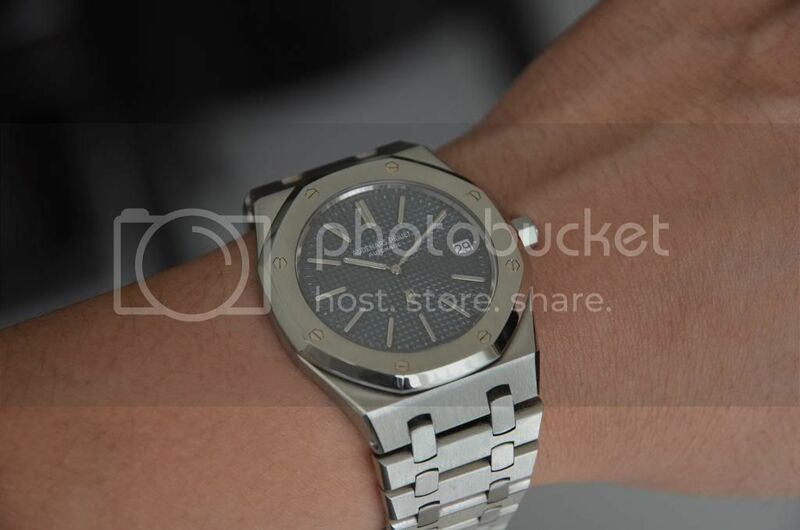 All thanks to the intricate details on the petite ta[word removed]erie that even the modern ones can't beat. 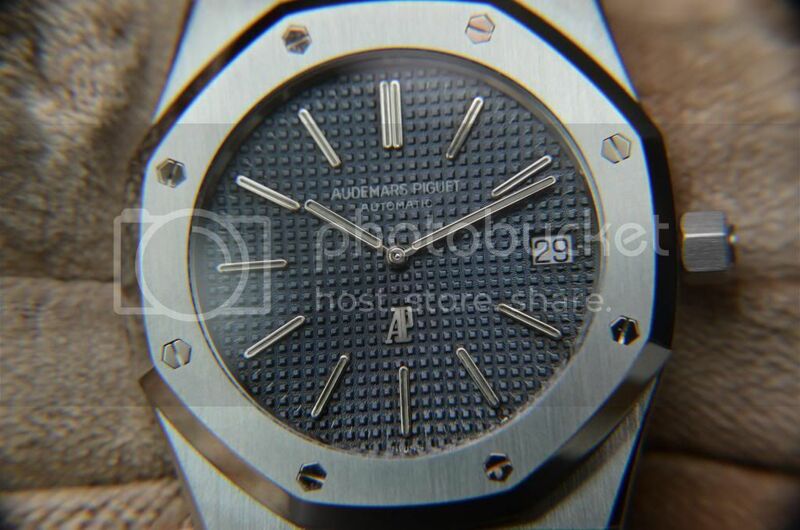 So much more than just a watch, history and a masterpiece.